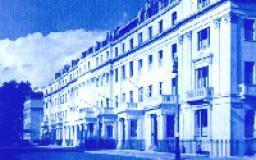 The Institution's international headquarters are at 8-9 Northumberland Street, London, WC2N 5DA. As well as the Institution's offices, the building houses the Froude Room, the Scott Russell Room and the Denny Room, used for meetings and conferences. The Denny Room also contains the Institution's library of books covering all aspects of design, construction, maintenance and operation of commercial and naval vessels. The Institution's rooms and facilities are available for hire. 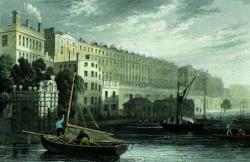 In the early days, the Institution settled in rooms at Adelphi Terrace, first at No. 7, then at No. 9 and finally at No. 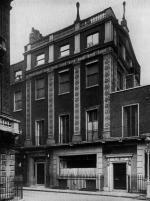 5 (the former house of David Garrick). The proximity of Adelphi Terrace to the Royal Society of Arts where John Russell (a founder member of the Royal Institution of Naval Architects) had been Secretary, and where for many years meetings of the Institution were held, made the choice of the Institution's first headquarters very convenient. With the reconstruction of Adelphi Terrace after the 1914-1918 war, however, the Institution moved to the south corner of Adam Street nearby. 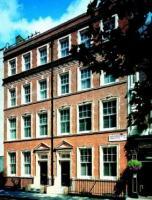 In 1938 the Institution moved to 10 Upper Belgrave Street. In 1955, the premises were extended to include a Lecture Hall, the building of which was greatly facilitated by the generosity of the late Viscount Weir of Eastwood (an Honorary Vice-President of the Institution) after which the hall was named. The wood panelled Denny Library on the first floor was furbished by Margaret Lady Denny in 1939, in memory of her husband, Sir Archibald Denny.